In Quynh Truong’s family, obtaining a higher education was an unlikely dream. Born in Vietnam, Truong immigrated to the U.S. with her parents when she was seven years old. This June, she will become the first in her family to graduate from high school and go on to college—she will attend UC Berkeley in the fall. As valedictorian of The Preuss School UCSD’s class of 2017, Truong will join over 100 of her peers for commencement this Friday, June 23. A charter middle and high school for low-income students who strive to become the first in their families to graduate from college, Preuss provides a learning environment for students to feel both challenged and empowered. Located on the UC San Diego campus, the school offers a longer school day and school year as well as a rigorous academic curriculum and the support students need to succeed. As a result, Preuss graduates are consistently accepted to colleges and universities—this year 94 percent were accepted to a four-year institution. This June, Quynh Truong will become the first in her family to graduate high school. She will attend UC Berkeley in the fall. For Truong, giving back to the community is one of her top priorities. For as long as she can remember, she has been drawn to art and design and intrigued by the relationship between buildings and their inhabitants. When life or school became stressful, Truong found refuge in sketching and painting, or expressing her feelings through dance. 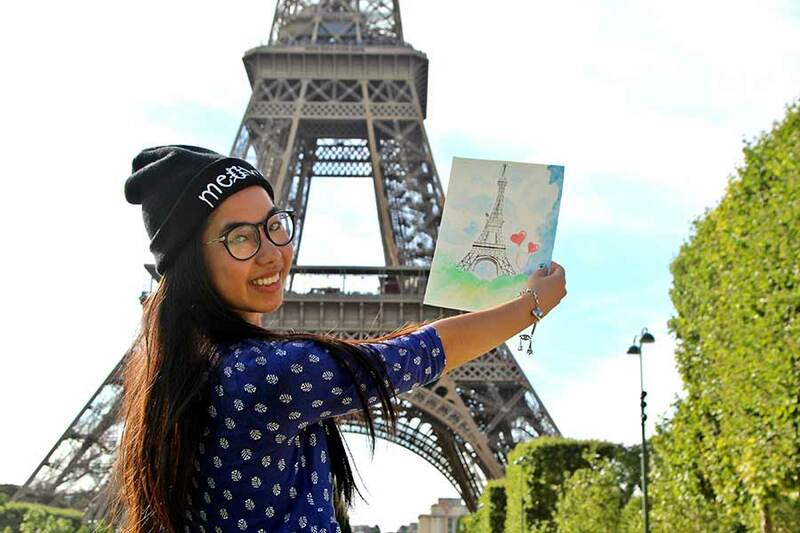 Last summer, she was awarded a Putney Student Travel scholarship to explore Paris, France as an aspiring artist and architect. Her ultimate goal is to design meaningful structures, including sustainable homes for those in need. On Friday, 102 seniors will graduate from The Preuss School. This year there are two salutatorians, Yareli Cervantes Perez and Natalie Ruybal. Of the graduates heading off to four-year universities, 8 percent will attend a private or out-of-state university including Cornell University, Harvard University, University of Southern California and Wesleyan University. The majority will attend public universities with 53 planning to attend a University of California campus (29 will attend UC San Diego) and 25 headed to a California State University campus. Sixteen students will attend community colleges with plans to transfer to a four-year university. The Preuss graduation will take place at 4 p.m. on Friday, June 23 at the school’s Manchester Field. For more information on The Preuss School UCSD, visit preuss.ucsd.edu.